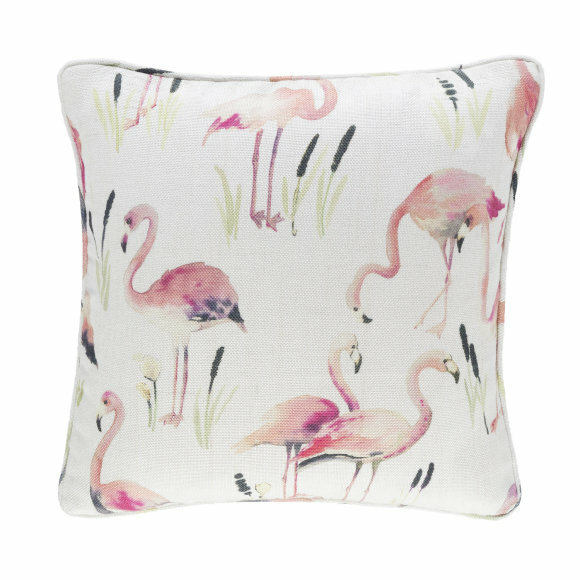 Add a splash of tropical style to your home with our pretty 'Flamingos' cushion. 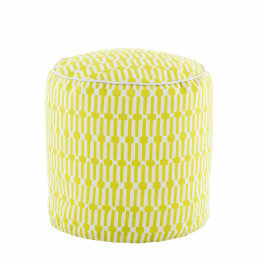 Suitable for outdoor use, this extra large cushion is ideal for accessorising your garden furniture and seating. 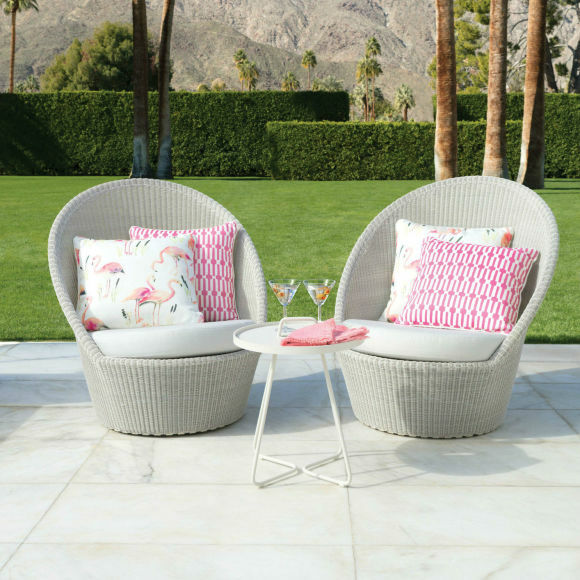 The double-sided flamingos print has a beautiful painterly quality in muted shades of pink and green. 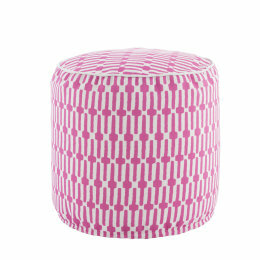 Made from recycled polyester, this square cushion has the added benefit of being weather resistant, UV fade resistant and easy to clean. 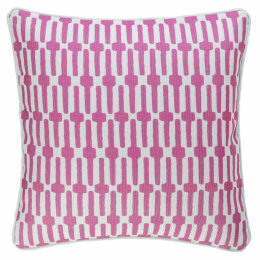 Mix with our fuchsia 'Links' cushion to complete the look.